Last minute cancellations hurt our team. We are rarely able to fill a spot we have reserved for you with less than 24-hours notice. To that end, please note our cancellation policies. If you do not cancel your appointment by speaking directly to a receptionist, we reserve the right to charge you in full. Should you no show/no call you will be charged 100% of the appointment service total and will have to prepay for all future appointments with us. We understand life happens, so if you need to cancel please provide us with at least 24-hour notice (excluding microblading and eyelash extension appointments). All appointments require a credit card to hold your reservation. Please note that in order to avoid any scheduling conflicts we ask that you arrive 5 minutes prior to your appointment start time to allow for check-in. We understand that life happens and traffic in Austin can at times be hectic so if you’re going to be late, please let us know as soon as possible. If you arrive 10 minutes late for your appointment, you may be subjected to an express style and/or we may need to reschedule your appointment for another day/time. No-show/cancellation fees will be assessed for late arrivals. A credit card is required at time of booking to secure your appointment. A non-refundable deposit of $150 is required to reserve your appointment with our artist. This deposit will be applied towards your microblading session balance. All microblading appointment cancellations / rescheduling must be made 3-days / 72 hours before your scheduled appointment. If you reschedule within 72-hours of your appointment, we may require a NEW deposit and your first deposit will be forfeited. If you cancel your appointment with less than 72-hours notice or are a no-show, your credit card will be charged for 100% of the total service price. You will also be required to pay for all future appointments at the time of booking. In no event shall deposits, tips and/or any monies paid to Parlor Beauty Bar, LLC services be refunded. At Parlor, we write this notice with the utmost respect to the parents in our salon. Over half of our staff are parents themselves and we understand that this can be a sensitive issue. Moving forward, we will be implementing a new policy regarding children and their presence in the salon. We feel as a company, children who visit the salon during their parents’ appointments or children who are unattended in the waiting area pose a safety issue. We work in an environment that has sharp objects, chemicals, and hot tools (curling and flat irons). If something were to happen to your child, it would not only be devastating to you and your family, it would be equally as devastating to us as a company. Please understand that our concern is the safety of your child. We write this notice without the intent of offending, and hope that you will aid us in keeping our salon a safe environment. Please contact us if you have concerns or questions about our new policy. While we happily service clients with hair extensions, Parlor Beauty Bar is not responsible for extensions that come loose or are damaged during their blowout (wash, dry or style). We recognize that extensions are expensive and delicate; we will be as careful as possible in handling them, however we simply cannot assume responsibility if they come out or are damaged as a result of a Parlor Beauty Bar service. Please note: All clip-in extensions MUST BE BROUGHT IN CLEAN for your appointment. For All Appointments (excluding Microblading or EyeLash Extentions) : To receive a refund on a online booked service, please call our salon at 512.770.6746 before the 24 hour window in order to receive a refund. You may also email us to cancel your appointment, you must do so within the 24-hour window. If you cancel your appointment with less than 24-hours notice or are a no-show, you will not receive a refund on any prepaid services. Microblading : The $150 deposit that is required to reserve your appointment with our artist is non-refundable. To receive a refund on a online booked service, please call our salon at 512.770.6746 before the 72 hour window in order to receive a refund. You may also email us to cancel your appointment, you must do so within the 72-hour window. If you cancel your appointment with less than 72-hours notice or are a no-show, you will be charged for 100% of the total service price. You will also be required to pay for all future appointments at the time of booking. 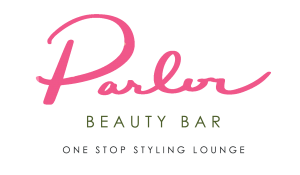 In no event shall deposits or tips paid to Parlor Beauty Bar, LLC services be refunded. Lashes : To receive a refund on a online booked service, please call our salon at 512.770.6746 before the 48 hour window in order to receive a refund. You may also email us to cancel your appointment, you must do so within the 48-hour window. For products : All products must be returned in an unused or in a salable condition. If you purchased in salon, and the product is unused and unopened it may returned within 14 days of the original purchase for a full refund to the original method of payment.